New improved and updated iPhone application coming soon. 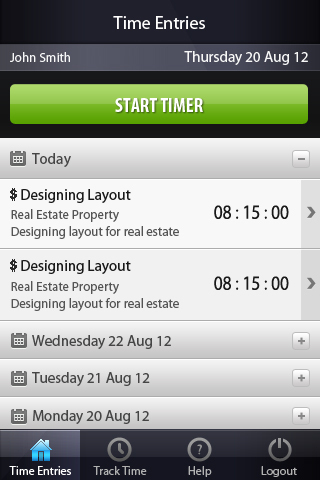 Find below some teaser screens for the improved and updated design of the Talygen iPhone application. As advised by our iPhone users we have updated the user interface of the iPhone application to be a lot more intuitive and simple. 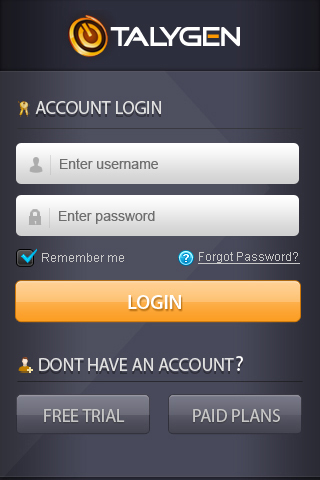 Updated login screen which allows you to create a free or paid account quickly. This screen lists all the date wise entries, click on day/date to expand entries. Button to start timer is at the very top. 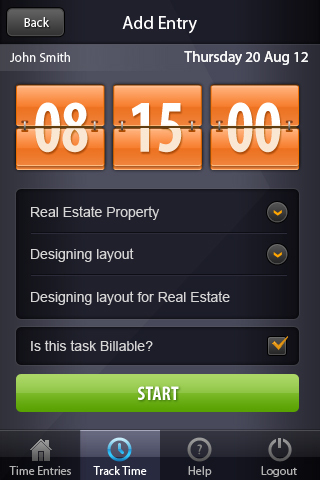 Nice flip timer for tracking time. Just choose project and start tracking your time.